Widely regarded as a members' favorite, The Moor represents a fair buy true test of game. The difference lies in the doglegs. Designed with numerous twists and turns, the front nine of The Moor favors right-handed power fade hitters - with holes 1, 2, 7 and 9 showing their curves immediately off the tee. Its reputation as a player's golf course is so widely known that The Moor has been designated as an AJGA Championship course. Featuring all-new tour bunker sand, The Moor is one of BOYNE's most versatile, perfect for 9 or 18 holes. The Moor is now closed for the 2018 season. The scheduled opening date for the 2019 season is April 26. The Moor 10' 5" 0.420" 2.500" 0.120" 0.375"
Par 4 • 350 yards • A split fairway offers you a chance to shave some yardage off of this opening par 4. 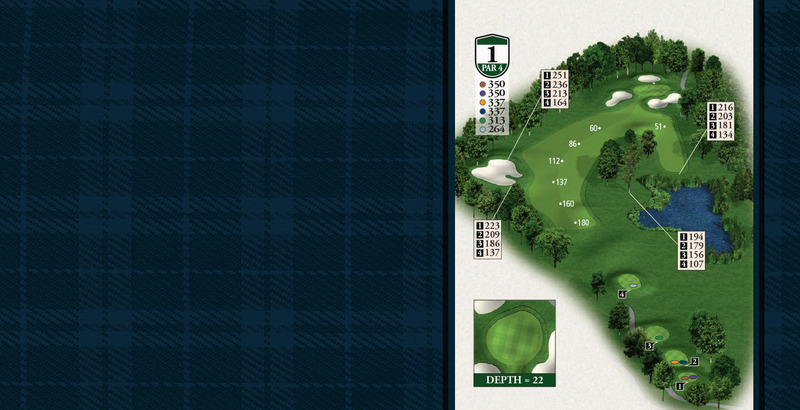 If you choose this option, be sure that the pin is cut to the left side or in the back of the green. If the hole is up front or to the right, the greenside bunkers will make it more difficult than the shot from the wider part of the fairway. Par 4 • 391 yards • A dogleg to the right opens up to a green that is protected by a pond in front and bunkers on the left and behind the green. There is a good slope in the back of the green which makes putting from above the hole here tricky. Par 5 • 539 yards • Straight up the hill. A pond awaits a weak, left shot from the tee. Trees to the right may force you to pitch out for your second. 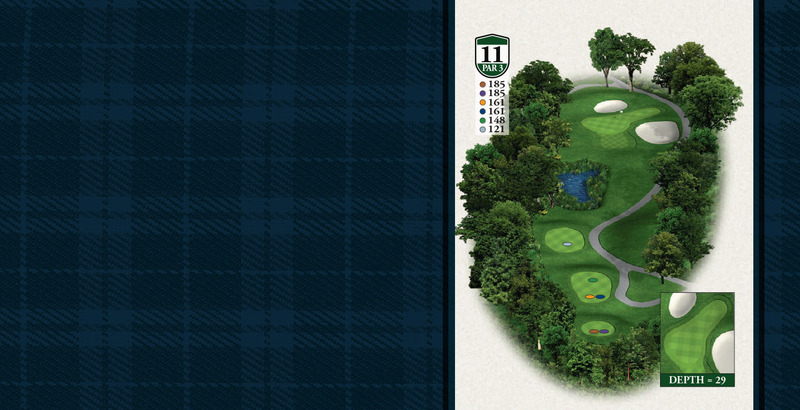 There is a giant bunker in front of the green that is the final challenge before a green that slopes back to front. Consider laying far enough back here if you are laying up. A 50 yard shot to a front pin will be a challenge. 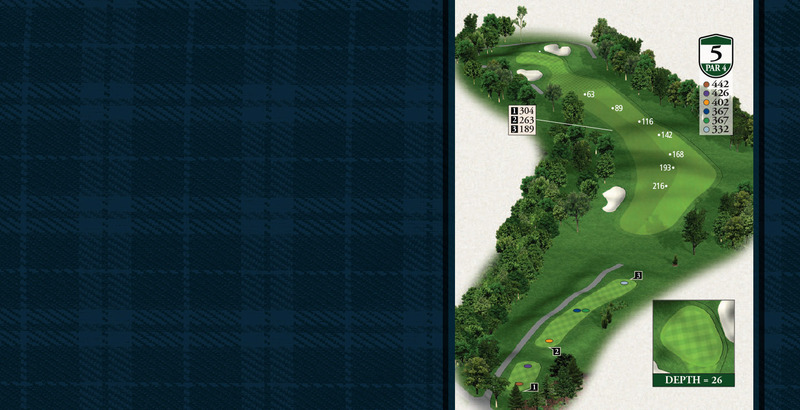 Par 3 • 208 yards • A long par 3 that requires a straight shot through a narrow alley of trees. Many of the overhanging limbs may force you to alter your normal ball flight. Any shots that go over the green will be from the sides of some mounding. Take advantage of a front pin for the best shot at birdie. Par 4 • 442 yards • The fifth hole has a tee shot that is mostly up hill to the landing area at which point the hole takes a gentle turn to the left and back down the hill. 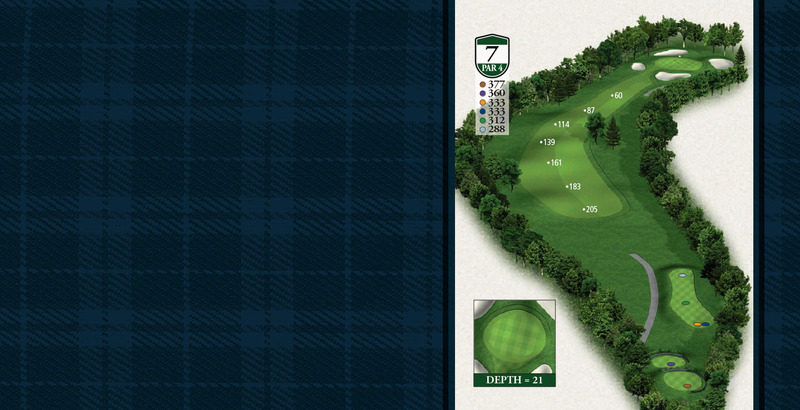 There are two tall trees on the far right side of the fairway that you'll want to avoid. Putting on the back left area of this green can be interesting. Be aggressive when the pin is front right. 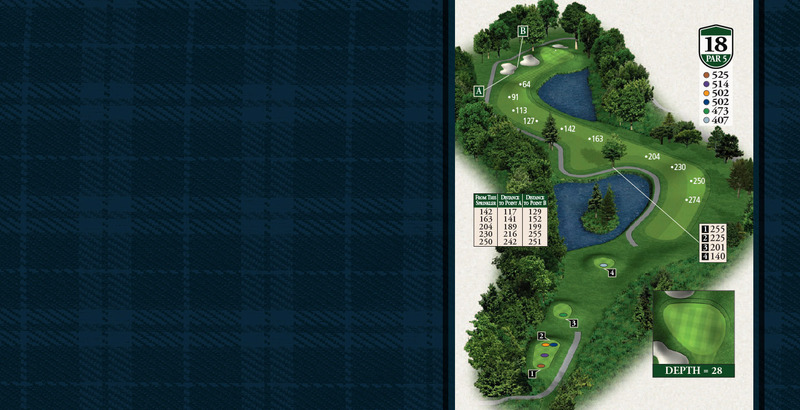 Par 3 • 203 yards • A very similar yardage to the third, you will find yourself playing the same club on calm days. The shot is slightly uphill and you'll need enough club to carry the front bunker. To the right is a steep hill that will repel errant shots even further away from the hole. 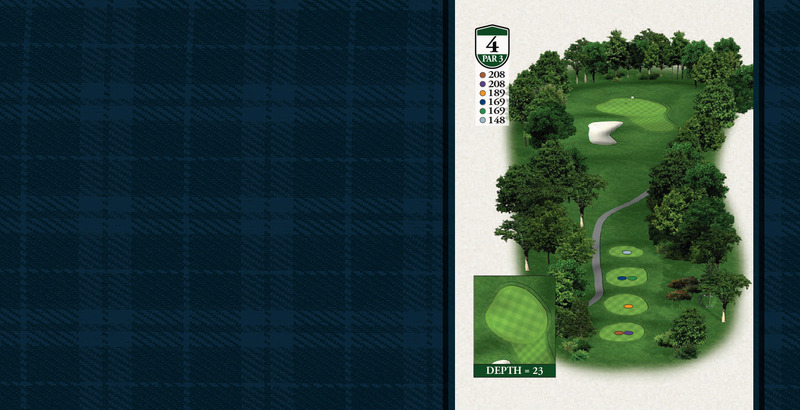 Par 4 • 377 yards • A sharp dogleg to the right, longer hitters will run out of room if they hit straight down the middle. They will need to either lay-up to the corner or challenge the trees down the right side to set up a very short approach to a green that slopes from back to front. 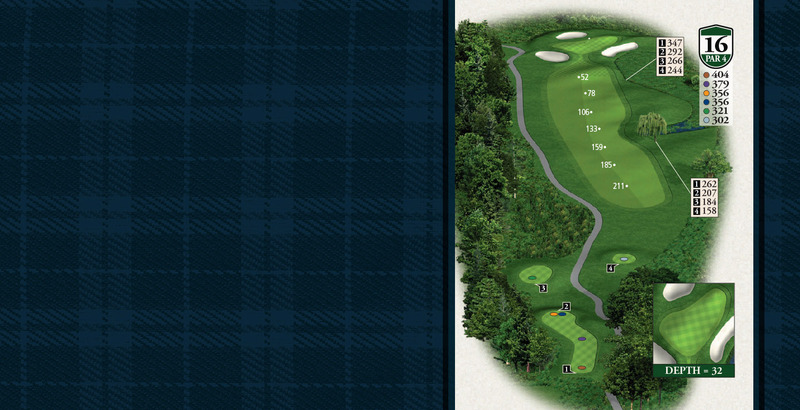 Par 5 • 520 yards • Lots of strategy to consider on this unique par 5 hole. The hole keeps bending around to the left and can be reached in two with a pair of good shots. A little luck can help when considering the obstacles in your way. 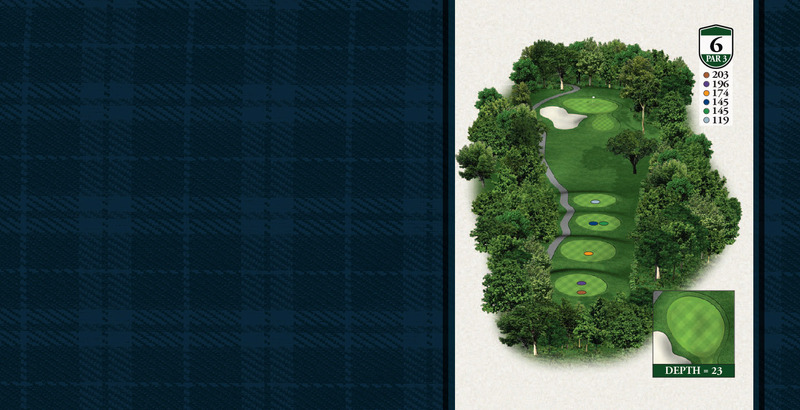 Waste bunkers and towering trees may have you thinking twice about the conservative approach. Either route should produce its share of birdies. Par 4 • 408 yards • Water and trees down the right will force most players to play out to the left, resulting in a slightly longer approach. The green slopes hard away from the back edge. This makes playing from behind this green very difficult. 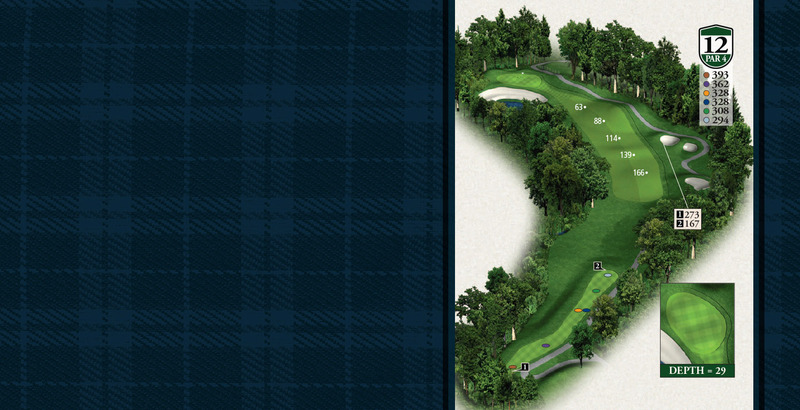 Par 4 • 399 yards • A difficult tee shot doesn't let up there with water down the left and right. Steer clear of the trees and hope to carry your ball over yet another pond that is short of the green. 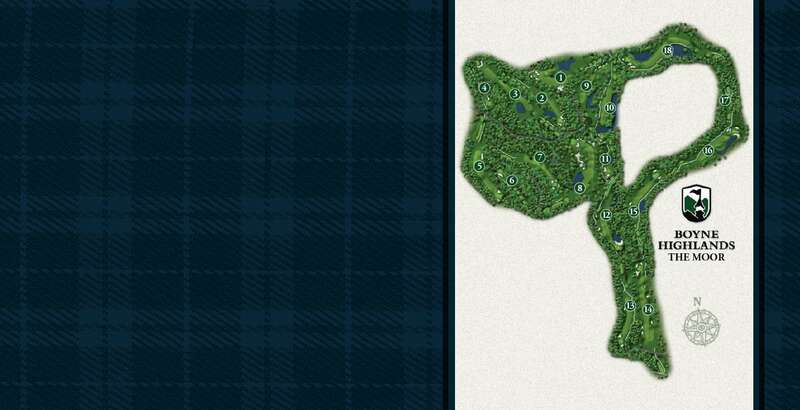 The edges of the green will funnel your ball back to the center. 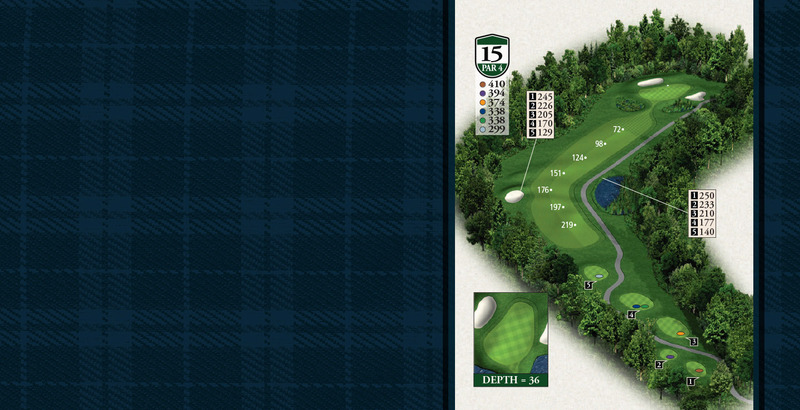 Par 3 • 185 yards • Be sure and take an extra club to any hole location cut to the right. You'll need it to carry the front bunker. When you see the pin in the center, go ahead and be aggressive. If not, be sure that your miss is controlled and leaves you in a good spot to save par. Par 4 • 393 yards • If you can control a hard draw here, let it rip around the corner...our lefty friends would need a big banana ball. Fairway bunkers catch any shots that don't make the grade. The green has a pond front left that leads to a sandy beach. The right side is fairly open to receiving shots that aren't knockin' down the flagstick. Par 4 • 403 yards • Further testing every shape of ball flight that you have...this time the hole works from the left to right. Play it safely to the fairway. Cutting the corner is not as big of an advantage as on some other holes. Clear the front bunker and you should have a decent chance at birdie. Par 5 • 533 yards • Long and straight. Several bunkers down the left and right can make you change your plans, but won't break you if you end up there. 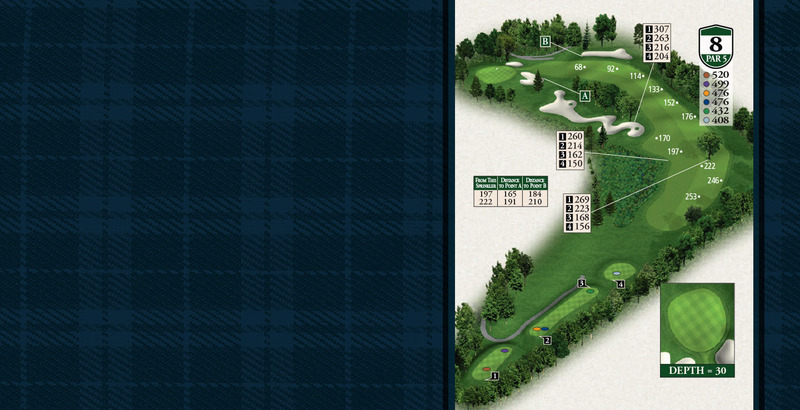 The green is tucked behind a large bunker on the front left. This does allow for a shot to run up on the apron to the front right if you can fit it between the bunkers. 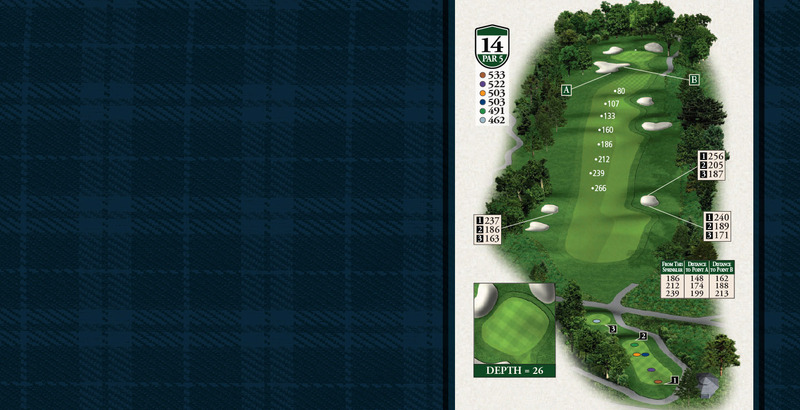 Par 4 • 410 yards • Position is very key to having success on the fifteenth. A long tee shot can take on the pond that is down the right side. If a shot is played too straight, it can be in the bunker to the left. Two more water hazards hide the green with their natural cattails, revealing only a sliver of hope. The entire green moves from back to front. 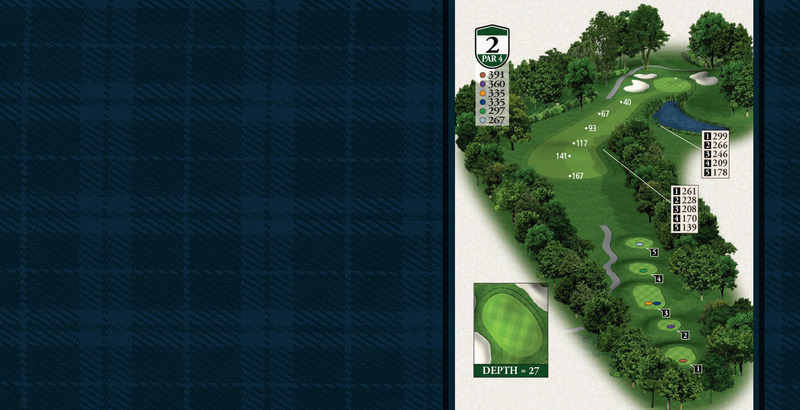 Par 4 • 404 yards • More wetlands to contend with...this time it is all along the left side of the hole. Further down the fairway to the right is a pond that may come into play from the tee for the bomber in your group. 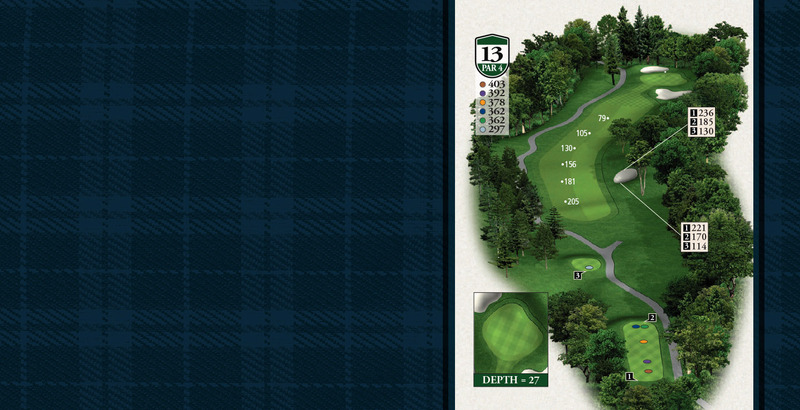 The green sits uphill ever so slightly with bunkers surrounding on all sides. 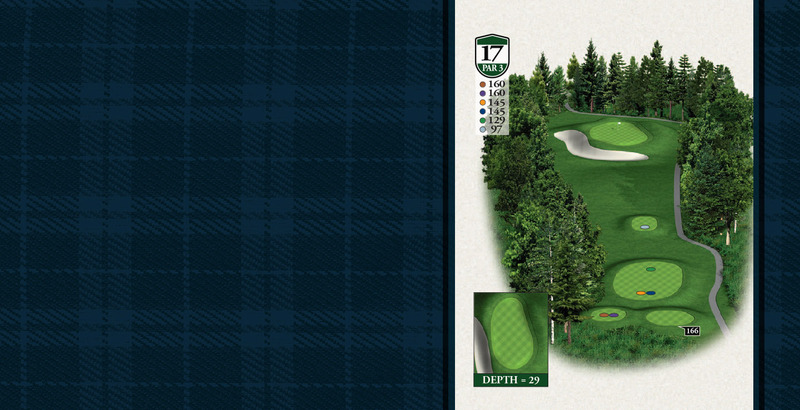 Par 3 • 160 yards • Cut out of a very narrow chute, all you will see from the tee is a bunker and a flagstick. Don't worry, there is a green up there. Most balls end up short here, so be sure you have enough club to get there. Also, remember where the wind has been blowing from. You won't feel much from the tee, but trust it's there above the trees. Par 5 • 525 yards • The eighteenth is a friendly recap of the entire course for those that didn't have enough. Water, check. Wetlands, check. Bunkers, check. Doglegs, how about a couple of them. 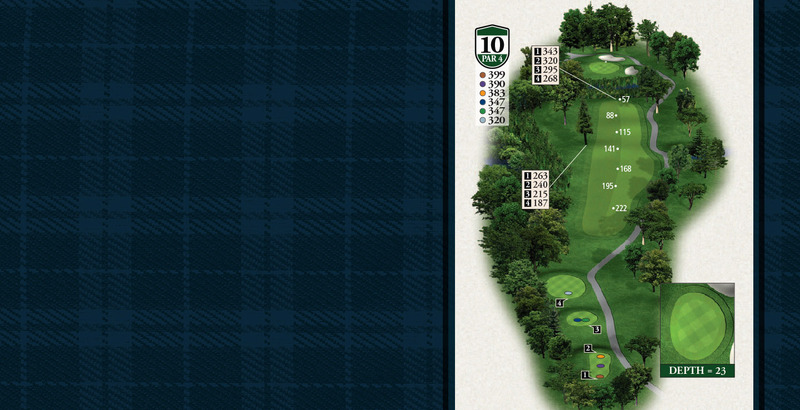 This hole is one of the most exciting finishes that BOYNE offers. 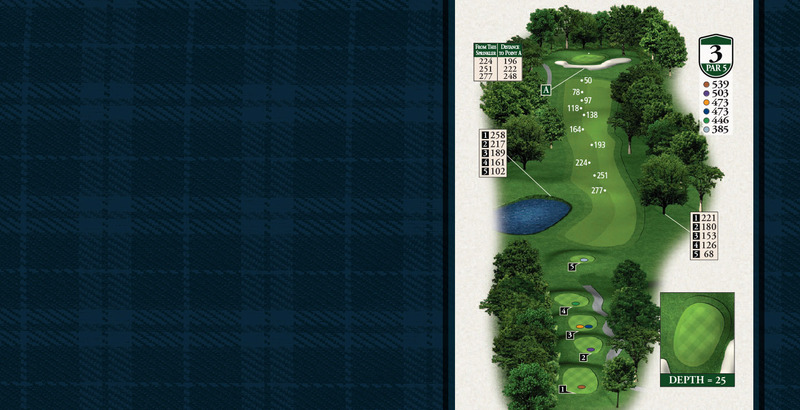 The majority of golfers will follow the 'S' shaped fairway to the right, back to the left, and back to the right. 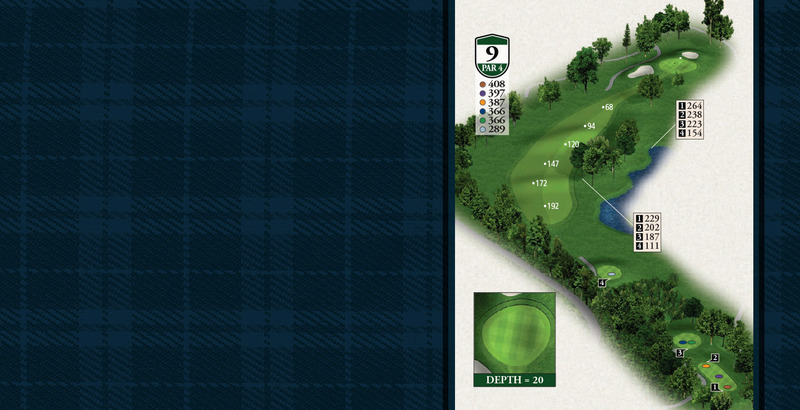 The bold player will try to clear two different water hazards on two consecutive shots for a chance at eagle.